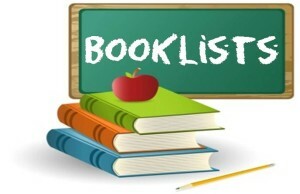 Booklists for 2018/2019 school year have been finalised. You can now pay for your books online through Aladdin App or Click for online payments. Please pay booklist fees to the school no later than Friday, 22nd of June 2018. This will ensure books can be ordered and labelled for your child and will be in your child’s class for their first day back in school, 29th August 2018. We ask that all payments are made online via the Aladdin App. Click on Money & Pay Now to see the fees outstanding for your child. If you must pay by cash, we will take payments from 8.30-9am each morning from the 18th – 22nd June. We will not take cash outside of these times. It will be online payment only after the 22nd June or you can pay directly into the school bank account using the following Iban: IE20AIBK93251562359023. Please ensure to use your child’s name as a reference so we know who the payment is from. Parents/guardians can pay in instalments. However a written instalment agreement must be signed in the office. A receipt will be issued for all payments received. Powerstown ETNS endeavours to minimise the cost of books to parents as much as possible. We only charge you the full price for books that the children write in and keep. The school purchase all other books and “rent” them to children. This is a huge expense on the school. Please note that children WILL NOT RECEIVE SCHOOL BOOKS unless payment/instalment agreement HAS BEEN MADE. Don’t forget, as your child will have completed an academic year in June 2018, he/she will move to the next most senior class in August 2018. School tracksuits can be ordered and collected from the office.